September 24 (MarketBeat.com) Turquoise Hill Resources (NYSE:TRQ) reached a new 52-week low during trading on Thursday, AnalystRatings.Net reports. The company traded as low as $2.64 and last traded at $2.66, with a volume of 2,198,939 shares. The stock had previously closed at $2.73. Several equities research analysts recently weighed in on TRQ shares. TheStreet lowered Turquoise Hill Resources from a "hold" rating to an "e+" rating in a report on Friday, August 7th. BMO Capital Markets reissued an "outperform" rating and set a $6.50 price objective on shares of Turquoise Hill Resources in a report on Thursday, July 2nd. Finally, Zacks downgraded Turquoise Hill Resources from a "hold" rating to a "sell" rating in a research report on Tuesday, July 21st. Two analysts have rated the stock with a sell rating, two have issued a hold rating and two have given a buy rating to the company. The company presently has an average rating of "Hold" and an average price target of $7.30. The stock has a market capitalization of $5.38 billion and a P/E ratio of 32.229. The firm has a 50 day moving average price of $3.04 and a 200-day moving average price of $3.61. Turquoise Hill Resources (NYSE:TRQ) last announced its quarterly earnings results on Wednesday, August 5th. The company reported $0.02 earnings per share (EPS) for the quarter, missing the Zacks' consensus estimate of $0.04 by $0.02. The firm earned $421.30 million during the quarter, compared to analyst estimates of $412.72 million. The company's quarterly revenue was down 8.3% compared to the same quarter last year. Analysts expect that Turquoise Hill Resources will post $0.11 earnings per share for the current fiscal year. Oyu Tolgoi LLC -- Byambasaikhan Bayanjargal was appointed as a member of the Board of Directors of Oyu Tolgoi LLC in August 2015. Byambasaikhan is the Chief Executive of Erdenes Mongol LLC, an investment holding company of the Government of Mongolia, which executes its 34 per cent ownership in Oyu Tolgoi LLC. He is a business executive with experience in infrastructure, energy and natural resources. He managed and closed several high profile energy transactions in Asia, including Mongolia's first IPP and wind farm in 2012. Prior to joining Erdenes Mongol, Byambasaikhan led an Ulaanbaatar-based investment management and advisory firm, NovaTerra LLC. He was also Chief Executive of Newcom Group, a premier Mongolian technology investor, and chaired the boards of its several joint-ventures, such as the MobiCom Corporation, and Clean Energy LLC. He was a banker at the Asian Development Bank, developing and financing power generation, transmission and distribution projects in emerging Central Asian markets. Byambasaikhan also chairs the Business Council of Mongolia, an association of 260 international and Mongolian investors. He serves on the boards of Green Buildings Council, Arts Council, is a trustee of Zorig Foundation USA, and Vice-President of the Mongolian Archery Association. Byambasaikhan is a graduate of the National University of Mongolia, and the George Washington University. In 2014 he was recognized as a Young Global Leader by the World Economic Forum. The forum will take place in Ulaanbaatar on 4 November, 2015. Both national and international suppliers are welcome to register their interest in participating in the Supplier Forum. All applications must be received before 21 October, 2015. September 29 (MarketBeat.com) SouthGobi Resources (TSE:SGQ) insider Hill Resources Ltd. Turquoise sold 216,650 shares of SouthGobi Resources stock in a transaction on Friday, September 25th. The shares were sold at an average price of C$0.49, for a total value of C$106,656.80. · On Thursday, September 24th, Hill Resources Ltd. Turquoise sold 191,650 shares of SouthGobi Resources stock. The stock was sold at an average price of C$0.48, for a total value of C$91,800.35. · On Friday, September 18th, Hill Resources Ltd. Turquoise sold 125,750 shares of SouthGobi Resources stock. The stock was sold at an average price of C$0.49, for a total value of C$61,353.43. · On Monday, September 21st, Hill Resources Ltd. Turquoise sold 409,100 shares of SouthGobi Resources stock. The stock was sold at an average price of C$0.50, for a total value of C$203,609.07. Shares of SouthGobi Resources (TSE:SGQ) remained flat at $0.40 during midday trading on Monday. The company's stock had a trading volume of 25,000 shares. The stock's market capitalization is $98.28 million. SouthGobi Resources has a 1-year low of $0.34 and a 1-year high of $1.25. The stock has a 50 day moving average price of $0.47 and a 200-day moving average price of $0.73. September 28 (Proactive Investors) New drilling at Xanadu Mines' (ASX:XAM) Kharmagtai copper-gold project in Mongolia have demonstrated increased scope in a highly prospective area. The latest intersection has returned 484 metres grading 0.57% copper and 0.32 grams per tonne gold from 186 metres, including 158.4 metres grading 0.8% copper and 0.24g/t gold from 342 metres. The results add further confidence to the geological model and extend the project's high-grade material at depth and along strike. Kharmagtai is located within the South Gobi porphyry copper province of Mongolia, about 420 kilometres south-southwest of Ulaanbaatar and is one of the most advanced porphyry projects in Asia. Kharmagtai's high-grade area is known as a tourmaline breccia and is believed to have transformed a potentially mid-scale project into one of the most prospective copper-gold projects in Asia. It is becoming apparent that the metal content of the tourmaline breccia mineralisation is much higher than those of surrounding porphyry stockwork deposits, elevating it as a priority drill target in the district. Drilling, however, has been paused to allow results from trenching to be finalised, a review of all results to date and an update of the geological model. This will allow for the prioritisation of drill targets within the area's 5 kilometre-long corridor – and elsewhere within the project – prior to deciding on the next development steps. The latest drilling builds on recent trenching results at Kharmagtai, which demonstrated even high copper and gold grades than the project's important Tsagaan Sudal area. The trenches designed to test resource extensions at the site returned copper-gold mineralisation of 122 metres grading 0.49% copper and 0.75g/t gold. This compares with grades of 0.29% copper and 0.23g/t gold in the previously announced mineral resource at Tsagaan Sudal. In March, Xanadu announced a maiden resource at the project of 2013 million tonnes containing 1.5 billion pounds of copper and 2.2 million ounces of gold. Development progress since this milestone has also included high-grade drill hits in the Kharmagtai tourmaline breccia in June and intersection of mineralisation at several prospects at the Oyut Ulaan project in May. Exploration at Oyut Ulaan (420 kilometres southeast of Ulaanbaatar) has defined broad zones of strong quartz stockwork veining and associated high-grade gold mineralisation (typically around 0.5 to more than 5g/t gold and 0.3 to 1.5% copper). The geology, strength of alteration and style of mineralisation also suggest that the mineralisation will extend at depth. Advancements made across Xanadu's portfolio this year have translated into significant strides for the company's share price. Xanadu stock was trading at aroundA$0.075 at the beginning of September before the latest exploration work at Kharmagtai helped spark a sharp climb to $0.13. The upgrade is due to revised commodity price and foreign exchange forecasts as well as the recent positive exploration results from Kharmagtai. As of the end of June, the company held $4.1 million in cash and cash equivalents. The new assay results at Kharmagtai continue to demonstrate the quality of the project and reaffirm confidence in the potential of the local mineral system to host a large-scale, high-grade copper-gold deposit. Kharmagtai's maiden resource covers only 30% of the prospective area. Kharmagtai is also attractive given the context of reducing copper output and reduced copper stockpiles at terminal markets. As a result, the short-term oversupply which has negatively impacted copper prices in recent months has been forecast to give way to more favourable supply-demand fundamentals. Value adding at Oyut Ulaan not only builds the business case for the Xanadu portfolio but continued to support the view that the South Gobi region of Mongolia is on track to become an important copper hub. This area sparked investor interest in the country with the 2001 discovery of the giant Oyu Tolgoi mine which holds 2.7 million tonnes of recoverable copper. Kharmagtai's patchwork of mineralised styles and high-grade centres closely reflects the geological style of Oyu Tolgoi. On behalf of the Board, I would like to invite you to an Extraordinary General Meeting (EGM) of the shareholders of Guildford Coal Limited ACN 143 533 537 (Company) which will be held at the Melton Hill Room, Holiday Inn, 334 Flinders Street, Townsville, Queensland, 4810 at 1:00 P.M. (AEST) on 30 October 2015. The Company remains focused and on track to deliver all aspects of the 2015 strategic review, both on a corporate level and on an operational level, and in particular, by continuing to pursue and explore alternative fund raising options to restructure its finances and reduce its debt burden. During this period the Company continues to maintain a strong working relationship with existing financial backers. The first three resolutions are an important step for the Company in delivering on this key element in its strategic plan to restructure the current debt on the balance sheet. The Company has negotiated, subject to Shareholder Approval and Noteholder approval, an extension of time for making certain payments under the Convertible Notes and the Amortising Notes previously due on 8 July 2015 to no later than 31 October 2015, as well as an extension of the Maturity Date of the Convertible Notes to 8 December 2015. These extensions have provided the Company with additional time to consider the restructure of its debt and alternative financing options. As part of this refinancing package, the Company has agreed to issue New Warrants, both to replace the existing Detachable Warrants on issue (which are currently significantly out of the money) and to offer additional New Warrants as part of the consideration for the relevant Noteholders to commercially agree to the above extensions of time. The Company is continuing to explore a variety of medium to long term funding arrangements to meet payment obligations on 31 October 2015 and its debt obligations on 8 December 2015. RHB Securities Singapore Pte Limited has been appointed as an advisor on this debt restructuring. The Company will make the necessary announcements when there are further developments and sufficiently definite arrangements in place to enable disclosure. The Board's clear strategic direction is to transition the Company over the next 12 months, to a dynamic mid-tier, globally diverse resource and energy mining Company which generates strong positive cashflows. During this year, one of the key achievements towards this goal has been the commissioning of the Mongolian Baruun Noyon Uul (BNU) coking coal mine which has enabled the Company to transition from explorer to miner status. The Board plans to use this as a foundation for growth not only organically in Mongolia, but also through the potential acquisition of strong cash flow positive operating projects across the Asia Pacific. As previously advised to the market on 27 February, 28 April and 3 August 2015, the Company continues to investigate the merits and mechanisms for a potential listing (dual and/or sole) on an Asian stock exchange. This was another crucial recommendation of the Company's 2015 strategic review. Shareholders are advised that there is no certainty or assurance that the potential listing will proceed or be completed. The Company will make the necessary announcements when there are further developments. A regional office has been established in Singapore, a strategic move to bring the management team closer to its operations, customers, financiers and key shareholders. The fourth resolution is the re-brand of the Company to TerraCom Limited which the Board believes better reflects its strategic direction and focus to transition to a dynamic energy and resources Company. I am pleased to advise that the 4 resolutions contained in this Notice have been unanimously supported by the directors of the Company. If any of Resolutions 1, 2 or 3 are not passed, this will trigger an immediate Event of Default under the Note Trust Deed and the Company will then be in default. Whilst the Company is not aware of what action the Note Trustee or Noteholders would take in this circumstance, the Note Trustee may, at its discretion, (or, if instructed by the holders of 25% of the Convertible Notes and Amortising Notes in aggregate, must) notify the Company that the Convertible Notes and Amortising Notes are immediately due and redeemable at the Convertible Note Redemption Amount and Amortising Note Redemption Amount, respectively. At present the Company does not have funding arrangements in place to meet the Convertible Note Redemption Amount and the Amortising Note Redemption Amount if the Note Trustee takes that course of action. If an Event of Default occurs and is subsisting the Security may be enforced immediately. The Notice of Meeting and Explanatory Memorandum is enclosed. Please read these documents carefully. This fund provides exposure to 21 stocks of Central Asia that derive revenues or are traded in Mongolia, Kazakhstan, Kyrgyzstan, Tajikistan, Turkmenistan or Uzbekistan. 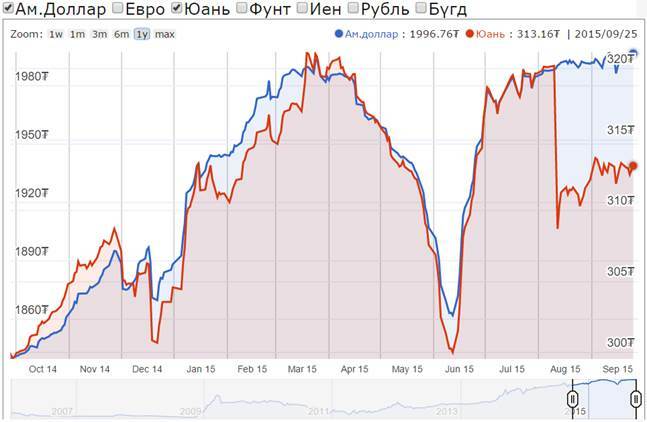 This is easily done by tracking the Solactive Central Asia & Mongolia Index. This ETF is also an unpopular one with just $2.6 million of assets accumulated in over two years of launch. Issues in the Chinese economy and the commodity market crash weighed on this ETF. AZIA is off 16.4% so far this year (as of September 22, 2015) and shed 42% in the last five years (read: 4 ETFs Unexpectedly Rocked by China Turmoil ). September 25 (MSE) On 25 September 2015, On the "II" classifications, total 8,257 shares of 9 companies were traded. Mongolian Stock Exchange organized 5 securities trading sessions and made transaction of MNT10,058,689,242.00 with daily average transaction of MNT2,011,737,848.00 between 21 September 2015 and 25 September 2015. 51,484.00 shares of 38 joint stock companies worth of MNT58,689,242.00 were traded. As of September 2015, market capitalization was MNT1,312,606,087,637.00 which indicated increased of 0.83%, and MSE ALL index reached 964.58 units which indicated decreased of 0.95% from the previous week. September 25 (MSE) Dear investors, please be advised that the following government bond is about to mature. September 28 (MSE) Mongolian Stock Exchange has been organizing the Government securities with maturity date of 12, 28 and 52 weeks since November 2014. As of today, approximately total worth of MNT 400.0 billion Government Securities has been traded on primary and secondary market of MSE. In order to increase the market liquidity for Government securities, to determine the interest rate of short-term loan in economy and to create new opportunities for investors to circulate their securities assets which from invested securities before its maturity date into economy; Mongolian Stock Exchange is working on to introduce Repo Trading on October of this year. September 28 (Mongolian Economy) In these times of economic difficulties, state-funded projects, programmes and infrastructure works are stalling one after another. Though it may be true that everyone is trying to somehow move their projects forward, every sector's cash flows are dwindling, and major infrastructure projects are close to coming to a full stop. During this slowing economic growth, one piece of good news is that the Mongolian Stock Exchange (MSE) has ramped up activities and is introducing a variety of new products. In this scope, Erchim Engineering LLC, empowered by the MSE, has successfully implemented a new product – an insured bond service as a means of financing. The company was established in 1999 in the field of energy industry equipment maintenance. Since then, the company has been carrying out activities in energy, mining, utilities and construction sectors. They have introduced insured bond instruments for the first time in order to move forward with their energy expansion project in progress around the Khuchit Shonkhor market. The Erchim Bond's annual nominal interest rate is 18.5 percent and has offered six-month bonds to the public. The Erchim Bond was traded at a discounted price of MNT 9,155 per unit from August 12 to August 21. A total of 50,000 bonds amounting to MNT 500 million were traded. Marketing and Public Relations Director of the Mongolian Stock Exchange J.Myagmarsuren said 236,194 shares or MNT 2.4 billion worth of bond orders were recorded in the trading system. In addition, the Bank of Mongolia and the leader of the banking sector Golomt bank introduced the 100 percent insured Erchim Bond on the floor of the stock market for the first time in Mongolia in its underwriting activities. The Erchim Bond has 100 percent insurance coverage by Soyombo Daatgal LLC, with the underwriters being Golomt Bank and Golomt Securities. Now only the presentation of results to investors remains. The first buyers of the bonds issued by the company are their employees. B.Undram, an administrative manager at Erchim Engineering LLC, proudly states that the company has 60 employees, and they have become their company's investors as much as they could. The Financial Regulatory Commission of Mongolia approved the start of secondary market trading as the initial trading was a success. It offers opportunities for investors to put their debt instruments into circulation through trade. It is also an opportunity for investors who were unable to purchase the bonds from the primary market. The Financial Regulatory Commission is emphasising introducing new products to the capital market and stated that enterprises are fully able to attract investment sources by issuing the above-mentioned and other financial instruments. Erchim Engineering LLC will finance repayment of the bonds from project finances that will come during the term of the bonds. The sector's experts stated that bond insurance is a new type of insurance instrument and that the insurance company is giving a 100 percent guarantee on interest and principal repayments. The company is financing the required working capital for the performance of bidding activities from the assets attracted. Authorities are estimating that the MSE can possibly introduce MNT 5-10 billion worth of corporate bonds to the capital market within this year. The success of this company's pilot bond-trading experience indicated the opportunity to raise funds from the capital market is there in a time when nearly every sector's financial situation is not all too great. September 27 (UB Post) The Mongolian government has been executing many important legislative and regulatory projects aimed at developing the banking and financial sectors in Mongolia, as well as the stock market. As a result, Mongolia is now ready to introduce a brand new custodian banking service to the market. Chairwoman of the Financial Regulatory Commission Z.Narantuya gave an interview highlighting the significance of custodian banking services and urgent issues that need to be addressed to develop the Mongolian stock market. What should be the focus for developing the securities market in Mongolia? Firstly, infrastructure should be fixed to develop the correct and stable type of stock market. Before anything, it's necessary for the Mongolian Securities Clearing House and Central Depository to develop its securities registration and displacement with the classical method. The clearing house should be separated and operated as an independent institute. The clearing house needs to integrate its primary and secondary trading platform, switch commercial information analysis to real-time mode, and create correct processes for executing commercial orders and pricing terms. The Financial Regulatory Commission is focusing on creating a control system that will monitor the entire stock market. Can you elaborate and explain what custodian banking is? How many banks have been licensed to provide custodian banking service? Have their operations stabilized? Custodian banking is a completely new concept for us, Mongolians. Custodian banking is the most important institute for investors in the securities market. Our nation has made amendments and changes in the Securities Market Law and Banking Law to establish suitable legal foundation for custodian banking services. At present, several banks have received licenses for carrying out custodian banking services. Among these banks, Golomt Bank, which has attained a license, is about to become the first Mongolian bank to introduce the system and begin operations. Another bank will also launch custodian banking services soon as well. Having two banks begin this type of operation is a step towards the development of custodian banking services. Individuals and companies engaged in investment, pension and other private funds will not only have their purchased securities and money reliably deposited in their chosen custodian bank, but also have their information protected and kept confidential. Like so, this new service has many advantages. Although the financial market expands to a wide range and has opportunities for attracting investment and earning higher returns, Mongolians and businesses only deposit savings in banks and try to find profit from other people and businesses. How exactly is the stock market useful to the public? If we explain how stock markets work in a simpler way to people, they will realize that it is actually just a type of financial service similar to saving money in banks and earning profit from interests. People deposit money in banks and placed their money in their current accounts only because they are used to this type of banking service and consider it reliable as the Central Bank supervises commercial banks. Useful financing can also be acquired through a short-term loan, but has high interest rate. The stock exchange gives out stocks that give off more yield than interests from savings. Yet, national companies and individuals don't come to the stock exchange to participate in stock exchange trading or try to generate the financing they need for businesses by issuing bonds and securities. From one side, this is connected to people and companies not being used to using this service, and from another side, it's connected to the fact that people don't understand the process of generating funds from stock trading that well. Just like how people trust banks, it's crucial to build their trust in professional financial organizations. As you mentioned, the Mongolian stock market isn't well developed. What do you think caused the stock market to reach its current state? The reason why local companies engaged in the stock market couldn't develop the market to a professional level despite operating for 25 years is related to the legal environment and various foreign and domestic factors. On the other hand, it can also be said that the history of getting pink and blue slips has caused people to lose faith in the idea that one can profit by shareholding and trading stock. Now, technologies of banks and financial institutions have developed and reached to a much higher level compared to the time when they received poor evaluations. Moreover, a favorable legal environment has been created. Affirmative aspects of the stock market have increased so much that it's become more attractive for businesses. 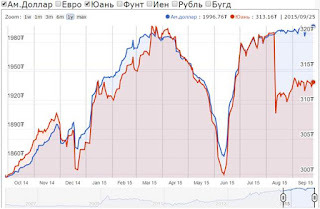 Can it be said that the Mongolian stock market is reaching a new and higher level of development? It's most important for stock markets to be risk-free and able to give high returns. To make these conditions consistent, the first thing to do is destroy barriers obstructing people from entering this sector and switch to easy access mode. Secondly, measures should be taken at each level for lessening the burden of fees. In the end, favorable tax, customs and investment conditions are being created. Associate people are working to develop a draft bill and change some provisions in associated legislation to make the stock market more favorable. Experts are conducting research for establishing a financial free zone, creating a legal basis, promoting investment competitiveness, and reducing the cost of capital. Furthermore, major works directed to improve public financial education and increase access to financial services are required. These line of works are being included in many projects being executed through international organizations. Even so, the inter-relation between the operations of policymakers, regulators and implementers is poor because there isn't any integrated information or statistical data. This is ultimately pulling us back from reaching substantial achievements. The Financial Regulatory Commission is functioning to regulate and integrate knots of interests of every stakeholder within the systematic scope. Foreign investors say that the stock market of nations develop through banks if foreign banks and companies are brought into the nation. Is this true? Large professional investors, investment banks and funds are extremely significant in a stock market, just like water and air are essential to humans. I've hinted that research and projects related to legal environment and other sectors have been planned. Making this sector transparent without discriminating between foreign and domestic companies, as well as developing this sector through a flexible policy are the most prudent steps. Our commission has the authority to control risks and ensure the stability of the market through regulatory devices. Particularly, the Financial Regulatory Commission will support the cooperation of large foreign investment banks and funds with Mongolian financial organizations and help create a legal environment, which will allow foreign companies to operate in specific regions where they will be protected by international standards and international laws. In relation to investment funds getting licenses for custodian banking services, how will this service be introduced and the investment market? Four investment management companies have been licensed by the Financial Regulatory Commission. These companies are currently working to create their own funds. It's absolutely necessary for companies to establish an agreement and cooperate with a custodian bank in accordance with the law. The custodian bank will not only safekeep capital of funds, but also perform registration to ensure the credibility. September 25 (Bloomberg) Mongolia's growing budget deficit is forcing the government to consider the sale of state-owned enterprises, tax hikes on petroleum imports and other measures to boost income. The shortfall in revenue may reach 1 trillion tugrik ($500 million) by the end of the year, up from 600 billion tugrik in the first eight months of 2015, according to comments by Minister of Finance Bolor Bayarbaatar, posted on a government website. The nation's economy and the government budget has been hit hard by the end of the commodity boom, a slowdown in China and a drying up of foreign investment. Tax revenue dropped as Mongolia's growth slowed to 3 percent in the first half of 2015 compared to 8.2 percent in the same period a year ago. "We need to conserve our spending and tighten our belts during this time of decreasing income," said Prime Minister Saikhanbileg Chimed, according to comments posted on the same website. Raising duties on petroleum imports and the privatization of state-owned entities are two options for Mongolia to plug its budget deficit, he said, adding that spending cuts could come through decreasing the wages of senior government officials during the final three months of the year. "The government will need to hike taxes on certain fronts and will need to lay off bureaucrats," Bilguun Ankhbayar, chief executive officer of Mongolian Investment Banking Group, said by e-mail. Cost cutting, the sale of SOE's and more efficient tax collection proposed by the prime minister are "unlikely to resolve the situation," he said. A statement on the Mongolian Stock Exchange website Tuesday announced a tender offer to select underwriters for the sale of five state-owned power plants. Power plants, coal companies and the stock exchange are on the block, according to comments made in June by stock exchange chief executive Angar Davaasuren. The finance minister blamed weak commodity prices for the budget shortfall. Mongolia's exports fell 9.1 percent in the first eight months of the year compared to a year earlier, including a 22 percent decline in coal exports. Eighty-five percent of Mongolia's exports go to China, which is experiencing slowing growth. Any decision must come soon. Amendments to the 2015 budget are required prior to approval of the 2016 state budget, according to the posting on the government website. The budget for the new year must be submitted by October 1. ULAANBAATAR, MONGOLIA, September 25 -- Asian Development Bank (ADB) President Takehiko Nakao on September 25 met with Mongolia's Prime Minister Saikhanbileg Chimed to discuss ways ADB can support sustainable, inclusive growth in Mongolia, through job creation and diversification of the economy. He also met with Bolor Bayarbaatar, Minister of Finance and ADB Governor for Mongolia. Mr. Nakao commended the authorities' efforts to stabilize the economy, manage inflation, and improve the investment climate. ADB projects this year's growth at 2.3%, reflecting drought-affected crop yields and declining commodity prices, but it will recover to 3.0% in 2016. Inflation is forecast to be 7.6% this year, substantially lower than the double-digit inflation of previous years. "Mongolia has huge development potential thanks to its strategic location and vast resources in mining and non-mining sectors," Mr. Nakao told the country's leaders. "As Mongolia continues to pursue appropriate macroeconomic and structural policies, ADB is fully committed to supporting Mongolia in realizing this potential through better regional integration and investments. It will bring real improvements in people's lives across the country." The ADB President acknowledged the rapid progress Mongolia has made in lowering its poverty rate—particularly in rural areas—to a national average of 21.6% in 2014 from 27.4% in 2012 through the contribution of the mining sector. Mongolia's mining sector accounted for 17.1% of gross domestic product and 83% of exports in 2014, while providing fewer than 4% of jobs. Given the volatile nature of the mining sector, Mr. Nakao urged continued efforts to make the economy less prone to movements in the mining sector. He underscored the strong need to continue diversifying its economy. There was also substantive progress in mobilizing private sector resources, including for the ADB-supported $1.3 billion Combined Heat and Power Number 5 Project. The concession agreement was signed in June 2014 with a consortium of global companies, under the country's first major public-private partnership arrangement. The power purchase agreement was signed in July 2015, marking a major step forward in addressing the burgeoning needs of the world's coldest capital for heat and power, according to ADB. In 2015 ADB already approved a $50 million loan to support agribusinesses. Responding to the current difficult macroeconomic situation, ADB is preparing to provide assistance for continued delivery of social welfare programs for the most vulnerable through a $150 million loan scheduled for approval in late September. In addition, ADB plans a further $75 million loan financing for approval in 2015 to support small- and medium enterprises, and to support safer food and agricultural trade. Since ADB began its development assistance to Mongolia in 1991, it has provided $1.6 billion in total resources for transport; energy; water supply and other municipal infrastructure and services; education; and health; finance; and agriculture. Mr. Nakao was on a 2-day visit to Mongolia, and attended the 14th Central Asia Regional Economic Cooperation (CAREC) Ministerial Conference. This was his second visit to Mongolia, the first visit being in July 2013 shortly after he took office. September 25 (gogo.mn) CAREC - Investment Forum 2015 commenced at Shangri-La Hotel in Ulaanbaatar yesterday. ADB and Erdenes Mongol LLC co-organizes the forum which gathers officials and private sector representatives from CAREC member countries. Central Asia Regional Economic Cooperation /CAREC/ aims to increase regional trade volume, and enable domestic companies to cooperate with their international peers. 10 central Asian countries including Azerbaijan, George, Uzbekistan, Turkmenistan, Kyrgyzstan, Mongolia, Tajikistan, Pakistan, Afghanistan, China are members of the program. Most of them previously part of Soviet Union are at similar level of economic development; especially Uzbekistan and Kazakhstan are landlocked as same as Mongolia. Thus, these countries established CAREC by embracing collaborative efforts towards economic development and seeking mutual benefits. In the frameworks of the program, several projects have been implemented, one of which is horizontal road project being now underway in Western region of Mongolia. Also, UB-Zamiin Uud road construction should be mentioned in relation to the program. The forum today continues with meeting of Ministers. We interviewed Director of co-organizer Erdenes Mongol LLC B.Byambasaikhan. Why did Mongolia become member of CAREC? CAREC was established 15 years ago with the support of ADB. We are landlocked country so that infrastructure projects are crucial. CAREC program endorses infrastructure projects. We pay a great deal of attention to the forum because we are deeply interested to cooperate with neighbor and other central Asian countries on cross-border infrastructure projects. We will discuss how to cooperate and raise related financing. Limited infrastructure development makes us less competitive in mining sector. Also, transport and logistics costs are high. Thus, we must improve cross-border infrastructure system which is expected to reduce business costs by up to 50% and gives us competitive edges. Instead of complaining about limited access to foreign markets, we should initiate long-term infrastructure projects and at least conduct feasibility studies. The reason is that the market will definitely surge soon so that domestic companies must be in position to be competitive in terms of infrastructure when the time arrives. Major problem which degrades the country's competitiveness is weak development in infrastructure and energy sectors. Other issues are to be discussed? Apart of infrastructure issues, attendees will hold discussions on mining, agricultural projects and opportunities of cooperation and multilateral trading. We are primed to create internationally competitive domestic companies if we pursue international standards. What do investors expect from us? September 27 (UB Post) Erdenes Mongol LLC and the Asian Development Bank (ADB) organized the Central Asia Regional Economic Cooperation (CAREC) investment forum on September 24, with the aim to improve regional partnership, economic climate and competitiveness of Mongolia. Over 350 participants from 26 countries shared their experience on how to identify and implement proper investment, and discussed possibilities on improving the investment climate and attract investors, financiers, technology and solution providers. Prime Minister Ch.Saikhanbileg attended the afternoon session of the forum and expressed his gratitude to Erdenes Mongol, the ADB and forum participants for providing domestic businesses and companies with opportunities to meet and cooperate with international investors. The Prime Minister said that the CAREC is a crucial program that supports regional economic development and contributes to poverty reduction. Member countries are given a chance to align their activities with others. Mongolia has been actively supporting the program from the very beginning, said Saikhanbileg. The Prime Minister also added that the ADB was Mongolia's major partner for 25 years, and numerous programs and projects were implemented with the ADB's assistance. "There are possibilities to further expand collaboration with member countries and investors. Mongolia is working toward implementing major national projects to strengthen the nation's economy," said the Prime Minister, emphasizing that many projects are still awaiting investors. Ch.Saikhanbileg also added that Mongolia is working to improve its legal environment for businesses and attract interests of investors, and underlined that creating pleasant condition is vital for the nation's economic development. September 25 (gogo.mn) Mineral Resources Authority openly announces companies owning mineral resource licenses in its regular report of effective special licenses. Last announcement was made in 2013 and there are 454 foreign invested companies as of today. Majority of them is Chinese invested. Interesting fact is that a company registered in British Virgin Islands owns numerous licenses. Additionally, as of November of 2014, 2751 mineral resource licenses are effective and 1381 of them are mineral exploitation licenses. September 25 (infomongolia.com) For the fifth time, this year's German-Mongolian Corporate Days 2015 - "Made in Germany" will take place from October 13-14, 2015 at Shangri-La Hotel. The event is jointly organized by the Integrated Mineral Resource Initiative (IMRI) of the German Agency for International Cooperation (GIZ) and the German-Mongolian Business Association (DMUV). Participation in the conference is free. Booths will be available for a fee. September 27 (UB Post) The mobile phone, a marvelous device that is constantly developing thanks to scientific and technological advances, has changed our lifestyle and greatly improved labor productivity. Ever since it became possible to connect to the internet through mobile phones, there has been revolutionary changes in the way people work, socialize, create and share information, and coordinate the flow of people, goods and information globally. However, this change is still underestimated because people are not able to fully comprehend the scale of this revolutionary change and transition. Currently, one fifth of economic growth in developed countries is generated through the internet. Hundreds of millions of people are using social media platforms such as Facebook and Twitter to update personal information, as well as to promote their businesses in an efficient way. Mobile phones have already become an essential need for us. A Boston Group survey states that 80 percent of Russians would choose their mobile phones over alcohol, whilst 86 percent of Japanese people would refuse to eat chocolates, 84 percent of Americans would refuse to use satellite navigation, 85 percent of the Chinese would refrain from drinking coffee, 86 percent of the French would stop going to fast food chains, 60 percent of the Japanese would refuse to exercise, 43 percent of South Koreans would be comfortable to not drive, and 56 percent of the Japanese would refrain from sexual relations to keep their mobile devices. Smartphone penetration, which indicates the percentage of the population using a smartphone, has globally become a measurement of potential for economic growth and market capacity. The Consumer Barometer 2015 survey suggests that the United Arab Emirates uses mobile phones most with 91 percent usage, followed by 88 percent in both Singapore and Saudi Arabia, 83 percent in Sweden and South Korea, 80 percent in Spain, 79 percent in Norway and Hong Kong, 78 percent in Taiwan and 77 percent in Australia. The mobile phone sector has already become a part of the economy due to the opportunities it creates for industries. Therefore, the term 'mobile economy' has come into use. This sector accounted for 3.4 percent of the global economy, which equals 2.4 trillion USD, in direct (investment, operational expenditure and sales) and indirect (turnovers of goods, services, applications, contents, and advertisements developed with mobile technology) ways. The rapid increase in mobile connection, its users, and data flow is having a great influence on socio-economic development. Many industries are leaning on virtual methods to produce brochures, advertise products, and hold sales to reduce costs and give a new feel to consumers. As a result, profitability increases. A World Bank survey says that a 10 percent increase in the use of mobile phones by developing countries with low to mid income results in an economic growth of 1.4 percent. A 2014 report produced by the Communications Regulatory Commissions of Mongolia (CRCM) concluded that the number of people who actively used mobile phones (for six consecutive months at least) reached three million. This number exceeded the population, and was 48 percent higher than the year before. However, 1.6 million of the total population are using smartphones to connect to the internet. It shows that Mongolia's use of smartphones has reached 55 percent, which comes close to 57 percent of the United States. Forty percent of the people who regularly use mobiles phones in Mongolia receive service from Mobicom, 32 percent from Unitel, 16 percent from Skytel, and 12 percent from G-Mobile. Approximately 88 percent of Mongolian users have prepaid mobile phone services, while 12 percent use postpaid mobile services. It shows that Mongolia is a developing country with low income, and mobile phone tariffs are clearly high compared to the purchasing power of the people. The relatively higher price means that Mongolia has limitations to develop the mobile economy, with users having difficulties downloading images and data from the internet. Although access to information and communications technology costs a lot in a country with large territory such as ours, it has an important role to play. The total length of the communications network currently set up in Mongolia is 34,000 km. Half of this is owned by a state-owned company called Mongolian Communications Networks, 7.3 km is owned by Mobicom, 6.9 km by Skytel, 1.4 km by Railcom and 1.2 km by Gemnet. As they do not have their own networks, mobile operators face high costs to rent channels from others. Therefore, internet tariffs have significant differences in soums, which has become a limitation for the mobile economy to be formed in Mongolia. The pace of development today requires the regulations set forth by the Mongolian government to support creation of free competition of prices in the mobile communications sector and to introduce technological advances swiftly. Whilst other countries are talking about introducing 5G (the fifth generation mobile network), Mongolia's CRCM has taken several years to discuss how to make 4G (the fourth generation network) available, without coming to a decision. It has also become a limitation to development and growth. Introducing a new generation mobile network brings all kinds of benefits to users. In order to deliver this new service, all operators need to work together. In order to create a mobile economy in Mongolia and ensure wider delivery of electronic services, operators need to be able to connect people's phone numbers with their electronic identity cards, allowing the SIM cards to be validated directly. Furthermore, introducing electronic wallets allowing people to use their mobile phones to make purchases would richen the lifestyle and improve productivity of businesses. Having an intelligent network that connects all electronic devices would also have the same impact. The time has come to turn mobile phones or devices into the main interface that connects the cyber world. The cyber future of Mongolia should also be bright. September 25 (gogo.mn) IrAero airline located in Irkutsk to start new direct flights between Ulan-Ude and Ulaanbaatar commencing on October 9. Tickets for the new flight have already been available. Prices for one-way flight ticket between Ulan-Ude and Ulaanbaatar is at RUB 6840 or MNT 205.000. IrAero airline mainly have flights in Siberia and Far East regions. Ulaanbaatar, September 28 (MONTSAME) The Mayor of Ulaanbaatar city Mr E.Bat-Uul paid a visit to Tokyo City of Japan on September 23-26 at an invitation of Tokyo's Governor. In frames of the visit, the Mongolian delegation led by Mr Bat-Uul has attended a day of propagandizing Mongolia within the JATA-2015 international tourism exhibition, and introduced to Japanese tourism businessmen the "Friendly Ulaanbaatar" program and current works for attracting tourists. In addition, the UB Mayor has presented a certificate to the Japan's "Stella Japan" company which performs charter flight between Mongolia and Japan, allowing it to open its tourism representative office in Ulaanbaatar. September 28 (gogo.mn) Administrative Court revoked the "Regulation on using wheel lock" directed at reducing the traffic load and informed that regulation was illegal. "Regulation on using wheel lock" was initially submitted by City Council. Fair Competition and Consumer Protection Agency claimed official warning to stop this illegal regulation to the City Council in March, 2015. City Council reported that Fair Competition and Consumer Protection Agency have no right to revoke this regulation and they have appealed at the administrative court by the Fair Competition and Consumer Protection Agency on April 2, 2015. City Governor E.Bat-Uul canceled his illegal regulation, sent an explanation to the court and wanted to stop it. "This regulation was illegal from the beginning. As a result, extremely large amount of loss were occurred to the residents. We will work to recover this loss", stated T.Ayursaikhan, Head of Fair Competition and Consumer Protection Agency. Great poet D.Natsagdorj wrote numerous great poems and works despite living for just 31 years. Verses above mentioned are today engraved in his monument in front of Ulaanbaatar Hotel. Natsagdorj was born at a site of the lake Gün Galuutai in Darkhan Chin Wang khoshuu (what is now Bayandelger sum of Tov Province to the impoverished family of an untitled noble (hohi taiji). His father raised him because his mother died when he was just 7 years old. When turning 9 years old, he became disciple of his father friend Altangerel. D.Natsagdorj worked as writer from the age of 11. Then, he respectively studied in Political Academy of Leningrad city during 1925 - 1926, and in Leipzig University in Berlin during 1926 - 1929. After arriving in his homeland, he worked in number of organizations including 'Iron Factory", "Youth Truth" newspaper, "Institute of Science" and "Central theater". During his short tenure as writer, he wrote various literature, history, linguistic and translation works. Particularly, his 'Old times boy" work includes significant meaning. He beautifully described and linked pre and post-revolution Mongolia in the work which was written in 1930. Despite successful professionally, his family life was not stable. After get divorced from his first wife, he married Nina Chistyakova and had daughter with her. But his wife and daughter were sent back to their homeland. He was arrested in 1932 but released again later the same year. He died in June 1937, just 31 years old. D.Natsagdorj, first Secretary General of Mongolian Writers Association, is known for his works such as "Three Sad Hills" opera, "My native land", "Star", "Oktyabr" poems, and "Old time boy", "New year and black tear", and "Black rock" narratives. The monument was initially erected in 1966 in current Amusement Park with design by L.Makhbal. The monument shows the writer's figure writing with imprint of "My native land" poem. Later in 2013, The monument was relocated and replaced the one of V.I.Lenin at current place. September 27 (UB Post) President of Mongolia Ts.Elbegdorj attended the 70th session of the United Nations General Assembly (UNGA) and made a statement at the UN Summit on Agenda 2030 for Sustainable Development on September 25. He delivered speeches at the High Level Side Event and High Level Ministerial and Stakeholders Event of the United Nations Sustainable Development Summit 2015 during his official visit to UN Headquarters in New York City. The President noted that the international community has produced a history-making document in the creation of Sustainable Development Goals. "The entire family of the United Nations agreed on the roadmap towards sustainable development. Now humanity has a truly universal, ambitious action plan for the next 15 years. Never before in human history has such a universal and unanimous agreement been reached. We agreed on urgent targets, on a broad range of economic and social challenges, and on environmental exigencies," the President stressed. He highlighted that Mongolia's commitment to international cooperation remains strong. "The success of the Sustainable Development Goals will mainly depend on a revitalized global partnership, an active engagement of governments, as well as the resilience of and synergy with civil society and the private sector. We need to mobilize our full potential to achieve the primary purpose of the founding of the United Nations, promotion of peace, respect for human rights, and inclusive economic and social development," he added. The theme of the High Level Side Event on September 26 was "Engaging people for sustainable development: Accountability, transparency and participation", and was organized by the International Institute for Democracy and Electoral Assistance (International IDEA), Mongolia, Switzerland, and Botswana. During the event's roundtable discussion, President Ts.Elbegdorj recalled that 15 years ago world leaders adopted the Millennium Development Goals (MDGs) and Mongolia, at the national level, adopted and successfully implemented the additional MDG Goal 9 on human rights and democracy. Compared to the MDGs, which mainly target social issues of development, the new sustainable development agenda fully reflects three pillars of sustainable development namely economic growth, inclusive social development, and environmental sustainability. He also highlighted that for the success of the truly transformative sustainable development agenda of a global, the Sustainable Development Goals will greatly depend on the active engagement and initiatives of civil societies, non-governmental organizations, and citizens. Mentioning that Mongolia will take up chairmanship of International IDEA's Council of Member States in 2016, the President promised that Mongolia will work actively and take every effort for a successful chairmanship. The High Level Ministerial and Stakeholders Event organized by the United Nations Environment Assembly of UNEP focused on "A Call for Joint Action to Achieve the SDGs: Advancing integrated solutions to accelerate change". The President expressed his heartfelt appreciation for the adoption of the 2030 Agenda for Sustainable Development during the UN General Assembly meeting attended by heads of state and government from over 170 countries. He noted that now all member states have a responsibility to make significant efforts to ensure its full implementation. He outlined that the implementation of the SDGs will be directly dependent on the outcome of the Conference of the Parties to the United Nations Framework Convention on Climate Change to be held in December 2015, as it needs to achieve a new international agreement on the climate change, applicable to all countries. "In order to reduce the effects of climate change it has become necessary for those countries, which have greater greenhouse gas emitters, to make a firm commitment. On the other hand, the global community has to take into account developing countries who are in need of financial resources necessary to implement the global goals. For instance, Mongolia as a country with considerable resources of renewable energy has the capacity to reduce greenhouse gas emissions. However, at the same time, it is also crucial to have foreign investment and financial support," the President states, and called for greater and improved collaboration between countries. Ulaanbaatar, September 28 (MONTSAME) Within the 70th UN General Assembly running in New York City, USA, the leader of Mongolia Ts.Elbegdorj has expressed a satisfaction with an adoption of the 2030 Agenda for Sustainable Development and emphasized that countries must make efforts for realizing this agenda. He said it during a discussion themed "Joint efforts for ensuring sustainable development goals" organized by the United Nations Development Programme (UNDP) with a participation of state leaders of some 170 countries in New York on Sunday. Mr Elbegdorj highlighted that implementation of the 2030 Agenda for Sustainable Development is directly dependent on results of the upcoming 2015 UN Climate Change Conference which will run in December in Paris of France. "Those nations emitting much greenhouse gas should undertake a commitment. Meanwhile, the world's community must focus attention to creating a financial resource for developing nations to fulfill their goals. For instance, foreign investments and financial support are vital for Mongolia that has plenty of renewable energy resources and a possibility of reducing greenhouse gas," the President stressed, urging countries to boost cooperation in the matter. The discussion brought together Mr Mogens Lykketoft, the President of the United Nations General Assembly; Mr Achim Steiner, the Executive Director of the United Nations Environment Programme (UNEP); and Ms S.Oyun, the President of the United Nations Environment Assembly. Ulaanbaatar, September 28 (MONTSAME) The President of Mongolia Mr Ts.Elbegdorj attended a high-level "Global Leaders' Meeting on Gender Equality and Women's Empowerment: A Commitment to Action" world leaders meeting held Sunday in New York, USA. At the meeting's opening, Mr Elbegdorj expressed opinions and put forward proposals on gender equality and enforcing women. Following the opening speeches by Mr Ban Ki-moon, the UN Secretary-General; and Mr Xi Jinpin, the President of the People's Republic of China, world leaders exchanged views on improving the gender equality and measures for overcoming challenges and difficulties over global efforts to enforce women around the world. The meeting aimed to intensify implementation of the 1995 Beijing Declaration adopted by the 4th World Congress of Women and the Political Declaration on enforcing women passed by 59th session of the Women's Status held this year in New York. Ulaanbaatar, September 28 (MONTSAME) The President of Mongolia Ts.Elbegdorj met last Sunday with the leader of Turkmenistan Mr Gurbanguly Berdimuhamedow while participating in the 70th UN General Assembly in New York City of USA. The President of Turkmenistan expressed a satisfaction with a successful development of the Mongolia-Turkmenistan relations and highly spoke the organization of Turkmenistan's cultural days in Mongolia and a joint business forum held this September 22-25. Our countries can develop their trade and economic ties, moreover, they must be intensified, Mr Elbegdorj emphasized, "Mongolia is rich in mining and agricultural products, whereas Turkmenistan has big resources of oil and natural gas". The two dignitaries highlighted an importance of seeking a chance of developing the agricultural ties, for example, Mongolia could export meat and meat products to Turkmenstan, and Turkmenistan--to supply good breeding animals to Mongolia. They also exchanged views on cooperating in the tourism and in experience sharing. September 28 (infomongolia.com) President Xi Jinping has issued decree to award five Mongolian veterans of war with anniversary medals on the occasion of 70th Anniversary of the historical Victory of the War of Liberation. Five Mongolian veterans G.Khengereg, G.Batmunkh, J.Unenbat, L.Danzan and V.Ayurzana who participated in Liberation War of 1945 will be awarded with anniversary medals dedicated to 70th Anniversary of the historical Victory of the War of Liberation. Embassy of the People's Republic of China in Ulaanbaatar will held the award ceremony on September 28 at 17.00 pm. Ulaanbaatar, September 25 (MONTSAME) Minister of Mining R.Jigjid paid a working visit to Brazil on September 21-24. He met with the Environment Minister of Brazil Ms Izabella Teixeira, and got au fait with the activities of Brazillian national mining venture and mining institute. Brazilian Environment Minister and Mongolian Mining Minister shared information on limiting of mercury usage in mining operations, in accordance with the Minamoto Convention. He also held official meetings with the Vice Minister of Mining and Energy Luiz Eduardo and the Secretary for Geology and Mining Mr Carlos Nogueira da Costa Junior, as well as with other high officials. The meetings considered the issues of illegal operations, artisanal mining, mining companies' relations with locals, investment and tax environments, and opportunities for further cooperation between the two countries. The Brazilian side accepted with pleasure the Mongolia's initiative to involve Brazilian specialists in mining explorations in Mongolia and to exchange geologists. Brazil is one of the largest mining countries in the world, ranking in tenth place for its extraction of iron ore.
Mongolia and Brazil have some common issues in the mining sphere, and the officials exchanged views on renovating the legal environments, legalizing artisanal mining, increasing investments, enhancing tax conditions, and sophisticating the environmental rehabilitation, mine closures and geological studies. The Brazilian authorities expressed their readiness to sign a Memorandum of Understanding on Cooperation in resolving the issues before the two countries mining sectors. September 25 (gogo.mn) Minister of Mining R.Jigjid pays an official visit to Columbia. He holds respective meetings with Minister of Mining and Energy of Columbia and Deputy Ministers of Foreign Affairs, and Environment and Sustainable Development of Columbia. Also, officials from Ministry of Mining and Mineral Resources Authority met their peers from National Mineral Resources Agency and other organizations of Columbia. At the meeting, brief introduction of both countries mining sectors was presented, and officials exchanged views on facing issues such as illegal and small-scale mining operations, communication with local residents, investment and tax environment. Columbia has lately made a great progress in legalizing locals who carry out improper mining operations. Currently, it is planned to legalize number of small-scale mining operators for next few years. 1500 miners in 2015 and 2600 miners in 2018 are expected to be officially licensed. Ministry of Mining of Columbia has been operating in similar way with Ministry of Mining of Mongolia in terms of its structure and strategy. 100 year old National Geological Agency of Columbia is administered by the Ministry. Columbia utilized international expertise in making structural renovation of the Ministry. Independent operations of National Geological Bureau from Ministry of Mining of Columbia has greatly benefited the sector. Next, The Minister R.Jigjid met Deputy Minister of Environment and Sustainable Development Pablo Vera Santos. They discussed management of environmental pollution, application of environment friendly technologies and distribution of special licenses. September 25 (parliament.mn) Upon an invitation of Chairman of the Federation Council of the Federal Assembly of Russia Ms. Valentina I. Matviyenko, a parliamentary delegation headed by Chairman of the State Great Hural (Parliament) Mr. Zandaakhuu ENKHBOLD has conducted an official visit to the Russian Federation on September 20-25, 2015. In the frameworks of his visit, Chairman Z.Enkhbold had a bilateral talk with Chairperson of the Federation Council of the Federal Assembly of Russia, Ms. Valentina Matviyenko and met Chairman of the State Duma Mr. Sergey Naryshkin on September 21, 2015. On September 21, 2015, Chairman of the Parliament Z.Enkhbold was present at the signing ceremony of cooperation agreement between "Chinggis Land Development" Group and Dalstroymehanizatsiya OJSC. On the same day, Speaker of the Parliament Z.Enkhbold gave an interview to Russia's "Vmeste RF" channel. During his official visit to the Russian Federation, Chairman of the State Great Hural (Parliament) Z.Enkhbold held a meeting with Minister of Natural Resources and Environment of Russia Sergey Yefimovich Donskoy and First Deputy Minister of Agriculture Evgeny Vasilievich Gromyko on September 21, 2015. On September 21, 2015, leader of "A Just Russia" political party at the State Duma, Head of the Russia-Mongolia inter-parliamentary group, Mr. Sergey Mikhailovich Mironov paid a courtesy call on Chairman of the State Great Hural (Parliament) of Mongolia Mr. Zandaakhuu ENKHBOLD. Mongolian parliamentary delegates headed by Chairman Mr. Zandaakhuu ENKHBOLD have continued their official visit to Sverdlovsk Oblast, the Russian Federation on September 24-25, 2015 and on September 24th, Speaker Z.Enkhbold held a bilateral meeting with Governor of Sverdlovsk Oblast E.V.Kuivashev. On September 24, 2015, Chairman of the Parliament of Mongolia and other accompanying parliamentarians visited the Ural Federal University named after the first President of Russia B.N.Yeltsin, where the University authorities bestowed Speaker Z.Enkhbold with Honorary Doctor degree of Ural Federal University. On the last day of his visit to Sverdlovsk Oblast (September 25, 2015), Chairman of the State Great Hural (Parliament) Z.Enkhbold has been familiarized with activities of Ural Turbine Works and the official visit of Mongolian parliamentary delegates to the Russian Federation have successfully ended. Chairman of the Parliament of Mongolia Z.Enkhbold was accompanied with parliamentarians Mr.N.Batbayar, Ms.S.Odontuya, Ms.G.Uyanga and Mr.B.Choijilsuren, Adviser to Speaker of Parliament Mr.A.Gansukh, Head of Foreign Relations Department at the Secretariat of Parliament Ms.Ts.Narantungalag, and Head of Press and Public Relations Department at the Secretariat of Parliament Ms.O.Batkhand. ULAANBAATAR, MONGOLIA, September 25 (ADB) – Asian Development Bank (ADB) President Takehiko Nakao concluded a 2-day visit to Mongolia today, during which he met with Prime Minister Saikhanbileg Chimed, Minister of Finance Bolor Bayarbaatar, and other senior officials, and attended the 14th Central Asia Regional Economic Cooperation (CAREC) Ministerial Conference. At the Ministerial Conference, CAREC Ministers exchanged views on the developments affecting the economic performance of the group's 10 member states: Afghanistan, Azerbaijan, the People's Republic of China (PRC), Kazakhstan, the Kyrgyz Republic, Mongolia, Pakistan, Tajikistan, Turkmenistan, and Uzbekistan. Mr. Nakao said in his keynote address at the Ministerial Conference that in the current difficult global economic environment, CAREC countries should further strengthen regional cooperation and integration efforts. "Enhancing the subregion's connectivity, promoting trade and investment across borders, and improving access to external markets will help improve the prospects of the subregion as a whole," he said. ADB functions as the Secretariat of the CAREC Program, which promotes regional cooperation in transport, energy, trade facilitation, trade policy, and other key sectors of mutual interest. Cumulatively, the CAREC Program has mobilized $28.3 billion of investments since it was set up in 2001, of which ADB accounts for more than $10 billion. In its project lineup for this year, ADB is planning to invest almost $1 billion to improve CAREC road corridors and enhance border services among CAREC countries. To provide knowledge support to implementing action plans in the four priority areas, ADB is supporting the CAREC Institute, which launched its physical base in March 2015 in Urumqi, PRC. Besides conducting regional projects, Mr. Nakao noted, ADB has provided or is planning substantial assistance to help individual countries adjust to new economic circumstances and institute policy reforms. Most notably a $1 billion loan to Kazakhstan through the counter-cyclical support facility was approved in August, and a $150 million loan for social welfare support program in Mongolia is being prepared for approval in the near future. In a joint statement, CAREC Ministers noted progress made in the four priority sectors. On transport and energy, they commended investment projects in road and railway construction to develop transport corridors as well as new support for clean energy and energy efficiency technologies. In trade facilitation there has been progress on linking customs cooperation with transport infrastructure. On trade policy, they noted to date, five CAREC countries have acceded to WTO, with Kazakhstan expected to accede by end of this year. Ministers welcomed an initiative to strengthen cooperation in sanitary and phytosanitary measures to complement customs reforms. They also resolved to take collective action to boost road safety in their countries through better road and vehicle design, enforcement of traffic laws, and accident and emergency facilities. September 27 (UB Post) Young workers of Thermal Power Plant No.4 have recently made a bike rack using scrap metal next to their workplace, after joining an initiative to support cycling. The workers built the rack without assistance of any professional manufacturers. The plant workers first got together for the project in May, and completed the first rack recently to show their support for the Mongolian Youth Federation's Cycling Ulaanbaatar program. September 28 (gogo.mn) Student Eco Park, enables comfortable environment for students to study and relax, was opened at Mongolian National University of Medical Sciences. Education reform program is being implemented among Mongolia`s biggest universities and colleges. In scope of this program, Mongolian National University of Medical Sciences furnished 1530 square meters area by the investment worth of MNT 570 million from state and university and commissioned within short term. Student Eco Park consisted of coffee shop, book store, souvenir shop, wifi, fountain and green area. This complex is called as "eco-complex" due to its glass roof which reflects sun light directly. September 28 (infomongolia.com) The IAPC General Assembly was held in Ulaanbaatar city on September 22-23, 2015. At the meeting, participating delegates have agreed to elect Mongolian journalist, Ms. Baljinnyam BAYARSAIKHAN as the President of IAPC. Thus, she becomes the very first woman and a Mongolian President of IACP. The IAPC Secretary-General and President of Press Club Polska, Mr. Jaroslaw Wlodarczyk said: "We are glad could make a historical decision at meeting in Ulaanbaatar city. Poland and Mongolia had the same faith in past 70 or 80 years. It is our country's pride that after the soviet era we could develop journalism in right way. I also hope that Mongolian journalism will have the same success. I find that electing Ms. Bayarsaikhan, as the President of IAPC, is a sign that Mongolian journalism is on right way. It is an important chance to show the world how press freedom is being developing in Mongolia." Ms. B.Bayarsaikhan currently holds the position of the President of National Press Club of Mongolia and General Director of Amin Media Group. The International Association of Press Clubs (IAPC) is an international collaborative chain of national organisations which claims to support the professional endeavours of its members and the principle of a free press. Ulaanbaatar, September 24 (MONTSAME) A scientific conference on collection of ancient clothing preserved in the Eurasian museums was held at the Ministry of Education, Culture and Sciences on September 22, in frames of the marking of the 800th birth anniversary of Khubilai, The Wise King. The event was organized by the Ministry, Tyurksoi international organization, Mongolian National museum, Federation of World Mongols and Mongol Costumes Center, in an effort to deepen the cooperation between Eurasian museums, cultural institutions and scientists. The conference aimed at advertising the cultural history behind the participating countries and traditions of culturally-connected ethnic groups. Over 30 presentations were given by delegates from major museums, institutes and universities of Mongolia, Azerbaijan, Kazakhstan, Kyrgyzstan, Turkmenistan, Turkey, Altai, Hakas, Saha, Tuva and Tatarstan republics of the Russian Federation and city of Moscow. The participants of conference discussed from various points of view the exhibits of collection of traditional clothes and wartime accessories. They also presented the results of latest archaeological researches on clothing, dating back to the Yuan Empire. ULAN BATOR, 26 September (Cihan) Kimse Yok Mu, one of the biggest charity organizations in Turkey, just like every, this year also did not forget those who need in Mongolia. The meat of the cattle, which were sacrificed in some parts of Mongolia on the occasion of Eid-al-Adha, was distributed to Mongolian families by volunteers of Kimse Yok Mu. Along with the volunteers of Khen ch Baikhgui Yu, partner organization of Kimse Yok Mu, meats were provided to needy families across Mongolian Capital City of Ulan Bataar. Families who provided by the meat was thanked those people who did not forget themselves. Önder Çolak, A Kimse Yok Mu official said Kimse Yok Mu which took the roads with the message of goodness and became a world brand with the help of our volunteers is reaching out its helping hand to needy people in every corner of the world. "We finished sacrificing sheep and cows and as is seen the distribution is ongoing. Under the supervision of Social Affairs Directress of Municipal, distribution of the meat is being held by our volunteered students, and volunteered people among the people. This can be described as to set heart bridges between the countries. We would like to thank to Turkish benefactors who granted donations to set these bridges. We are waiting your donations. We felt happiness for being a part of such a program. We also would like to thank both to benefactors and our organization," noted Çolak. Hi, I am Battsengel Rentsen.. I work in the genre of historic art. My work has been exhibited at the Mongolian National History Museum in Ulan-Bator.I have been drawing the Secret History of the Mongols for the last 28 years. I started working on this project 7 years ago. I published the first volume "VOLUME-I" in 2014. The second volume"VOLUME-II" was published in 2015 and I am currently working on the third volume ""VOLUME-III. We are illustrating the history of an orphaned boy who ruled the world. You might have read a number of accounts of great people. But this is the history of the "Man of the Millennium" and we are sure that you will enjoy it. There have been numerous accounts and books written about Chinggis Khan, however, this project is developed from the original source which was created in 1240. And will demonstrate a yet undiscovered world depicting ancient Mongolian culture and society in addition to learning of the secret history of how a 9 year old orphaned boy abandoned with no support, challenged the status quo and established a great empire. His story has been published globally in 26 languages. However, the"Popular Edition" being created by us is fully illustrated, albeit with a simpler content to give the reader a better understanding of the Mongolian history and culture. September 25 (So Why Mongolia?) TGIF and ANGTFT. Thank God it's Friday and Ain't Nobody Got Time For That. Here are the remarkable news of the past week and upcoming, mostly artistic events. There's been a 3.4 magnitude earthquake in Arkhangai province on September 24. No damage was accrued, but with the previous case of earthquake being in Khovd in the far west, one wonders if it's because something is moving towards UB. Nah, probably not. Let's move on. It was announced this past week that UB-ians can now fly directly to Ulan-Ude, Russia, starting October 9. The carrier will be a Russian airline IrAero. The Medee.mn reports that one-way airfare will be only 205,000 MNT or 6,840 RUB. The first book mall named Az Khur had its opening ceremony on September 18-19. The book is boasting itself as the first international standard book store, and the photos actually seem to prove it. The book mall's marketing has also been creative with bus stop events, and most importantly, the #azkhurbookchallenge on Facebook, which has been trending quite well in the past weeks. The book mall is located in front of the Saruul center, along the Narny Road. Yeah, we don't know where that is either. Remember when Simon Cowell was angry that Mongolia wasn't licensing his Got Talent franchise? Well, we have it now as well, and it's amazing! Mongolia's Got Talent premiered last Sunday, with an immediate and exalting reaction by Mongolians, as witnessed by the trend on Facebook. Who knew? Apparently we were missing out big time. The show starts at 9 pm every Sunday on Mongol HD. Children from Swiss capital Berne and the ger districts of Ulaanbaatar captured their daily lives on camera. Now, their result — titled "One Week in the Life of…" — is being exhibited at the Blue Moon Gallery (inside BlueMon building) on October 4-6. The opening reception is at 3 pm. The organizer, Bayasgalant NGO, is a childcare center in Songinohairhan District of UB, that takes care of 150 children of ages 2-16 living under the poverty line. Several great art exhibitions and educational programs under this "UB Art Fair" title are starting from today until Monday, organized by the City Tourism Department and Union of Mongolian Artists. Most of them are in the UMA Gallery, the one shown above, but there are also lectures by influential artists, such as the Chairman of Altan Khalis NGO, the details could be seen in the link below. Admission is free and these are whole day exhibitions. Speaking of short notice, this one's tonight at 7pm in State Theater of Opera and Dance. NorthWest Dance Project company is coming to Mongolia to present top 4 pieces from their repertoire. The group is also giving training to over 100 young Mongolian dancers, not to mention over 50 professional light technicians. Let's hope they're not being taught the same thing though. The admission is 40,000 – 60,000 MNT, and you can order your ticket here or at the STOD box office. Our flagship international film event, the UBIFF's 7th run is happening on October 7–11 in Tengis Cinema. The festival will have a maximum of four Mongolian films and the rest will be international submissions. The organizers finished receiving submission on September 15. The official programme will be announced next week, probably. Admission for screenings will be 4,000 MNT. Another great event for film enthusiasts is the 48 Hours Film Project. Any group of filmmakers can sign up to make a short film on a prompt the weekend of October 2-4. The registration finishes next Thursday, and if you're not sure, you can attend the technical info session on September 29 at Kino Cafe. Your films will be screened on October 6-7, with an entry pass of 3,500MNT. You can read last week's image news here. September 27 (The Asahi Shimbun) Kakuryu claimed his first career championship as a yokozuna on Sept. 27 after defeating injury-hit fellow Mongolian ozeki Terunofuji in a tie-breaker in an exciting conclusion to the Autumn Grand Sumo Tournament. The tournament became rather lackluster after the two leading yokozuna missed out on the competition due to injuries. But it came to life on Day 15 after Terunofuji, who sustained a serious knee injury on Day 13, powerfully drove out Kakuryu in the last match of the tournament to finish in a tie with the yokozuna at 12-3. In the tie-breaker, Kakuryu easily forced Terunofuji down in front of the capacity crowd at Tokyo's Ryogoku Kokugikan to grab his first Emperor's Cup since he was promoted to sumo's highest rank after winning the spring tournament in March 2014 and his second overall. Despite winning the tournament, the 30-year-old yokozuna drew much criticism for using a henka sidestep technique twice to get around ozeki Kisenosato on Day 14 on Sept. 26 in a bid to grab the sole lead heading into the last day. Terunofuji sustained an anterior cruciate ligament injury in his right knee, which will take a month to completely heal, in his loss to ozeki Kisenosato on Day 13. Despite opposition from his stablemaster, he opted to battle on through to the final day. Yokozuna Hakuho, who won his 35th championship title in the previous Nagoya tournament, withdrew from the autumn tourney from Day 3 due to an injured left knee after giving up two upset losses. It was the first time Hakuho missed a 15-day tournament since he gained promotion to yokozuna in 2007. Yokozuna Harumafuji sat out the entire autumn meet due to an injured right elbow ligament. Kisenosato finished with an 11-4 record after forcing out fellow ozeki Goeido on Day 15. Goeido finished with a 7-8 record and will compete in the upcoming Kyushu tournament in November at kadoban, which means he will be demoted from the second highest rank unless he gains at least eight wins. Ozeki Kotoshogiku finished with an 11-4 record with a victory over sekiwake Tochiozan (8-7) on the final day. Maegashira No. 1 Yoshikaze, who defeated pairs of yokozuna, ozeki and sekiwake in the tournament, finished with an 11-4 record and won his first Outstanding Performance Award and the Technique Prize, also his first. Georgian komusubi Tochinoshin won his fifth Fighting Spirit Prize with a 10-5 record, sharing the prize with maegashira No. 12 Ikioi with an 11-4 record. It was the third Fighting Spirit Prize for Ikioi. Ulaanbaatar, September 28 (MONTSAME) A World champion and Olympic bronze medalist Kh.Tsagaanbaatar last week officially announced that he has retired after 20-year career in judo. The judoka said he will start his career in coaching the national team of Mongolia for the sport. "I have made my decision of the retirement already. I have touched upon this decision to authorities of the Mongolia's Judo Federation after the 2015 Judo World Championships in Kazakhstan. I could not bring a medal from the World Championships. Although I retired from my career in judo, I will do my best to prepare top judokas to win Olympic gold medal that I have never achieved," he said. Born March 19, 1984 in Uvs province, Tsagaanbaatar Khashbaatar won only medal for Mongolia in the Athens 2004 Olympic Games, competing in the men's -60 kg contest of judo. He also grabbed a gold medal in the men's -66 kg bout of the 2009 Judo World Championships, becoming the very first Mongolian to World champion in judo. This medal was followed by two bronze medals of the Judo World Championships in 2010 and 2015. In the 2006 Asian Games, he captured a gold medal in the -66 kg contest by defeating twice World champion Arash Miresmaeili of Iran as well as two gold, three silver and one bronze medals in Asian Championships between 2003 and 2011. For all his brilliant success in the sport, Kh.Tsagaanbaatar became a State Honored Sportsman and Hero of Labor. Ulaanbaatar, September 24 (MONTSAME) The Mongolian National Museum of History is displaying some 300 extraordinary archaeological findings and exhibits, dating back to the Yuan Empire era, in regard to the celebration of 800th birth anniversary of Khubilai Setsen Khaan (Khubilai, the wise king). The exhibition will last until October 20. Unique archaeological findings, discovered by the latest excavations at Middle Age royalties' tombs, connected to the Yuan Empire, which has been founded by Khubilai Khaan, are being displayed. For instance, some newly found cultural monuments are at the exhibition, including findings from Mongol tombs of Tavan Tolgoi, located in Ongon soum, and from tombs in Uulbayan soum of Sukhbaatar aimag. September 25 (GoGo Mongolia) City Tourism Department, Union of Mongolian Artist and Proline agency are co-organizing the "UB ART FAIR 2015" which aims to give art education to public and to introduce international award wining works to public. In scope of this event, new exhibitions to be displayed in all new galleries operating in Ulaanbaatar city, professional fine arts students to teach lesson at secondary schools and professional artists to give lecture on interesting topics including "The trend of modern art" and "Fine arts and movie" at art gallery of Union of Mongolian Artist, Mongolian art gallery and Fine arts museum of Zanabazar. Moreover, "Artists Day" to be celebrated at front yard of State Drama Theater on Sep 27 and "Open Art Studio" event to be held on Sep 29 at A building of Union of Mongolian Artist. "UB ART FAIR" to be continued until Sep 30. September 25 (gogo.mn) New season of the State Opera and Ballet Theater will open from October 03 with the grandest of grand opera "Aida" by Giuseppe Verdi. Opera Aida involves more than 200 artists and is definitely the largest opera of the theater. It was first staged at State Opera and Ballet Theater in 2011. This year, it is scheduled to perform on Oct 03 and 04 at 05PM. On Oct 04, As Aida, State Honored Artist Sh.Naranchimeg, As Radamès, Captain of the Guard, State Honored Artist Ch.Tumendemberel. This year marks the 175th birth anniversary of P.I.Tchaikovsky and 40th anniversary of his masterpiece Swan Lake`s introduction on Mongolian stage. Thus, the first ballet to be performed at State Opera and Ballet Theater is one of the most beloved and quintessential classical ballets, "Swan Lake". Cast: On Oct 10, As white and black swan, State Honored Artist Ch.Ganchimeg, As Siegfried, State Honored Artist O.Gantsooj who is known as staged revised version of Giselle with Laurretta Summerscales on June. On Oct 11, As white and black swan, a principle dancer of the Mongolian State Opera and Ballet Theater B.Saruul, As Siegfried, dancer M.Od. Interestingly, prices for the tickets have changed from the new season and set to be at MNT 10.000, 20.000, 30.000 (USD 5, 10, 15) for world classics while MNT 10.000, 15.000, 20.000 (USD 5, 7.5, 10) for other operas and ballets. For more information on the tickets and other issues, please contact at 70110389, 99196609, 88044508, 99024933, 99194570. Finally, total of five opera and five ballets to be staged throughout the 53rd season of 2016. Below is the Program for 2015. September 28 (gogo.mn) Mongolian Tourism Association (MTA) organises the Mongolia entry at the annual JATA Tourism Expo in Tokyo Japan on 24-27 September. The exhibitors at the Mongolia national stand Black Ibex Expeditions, Ikh Uls Tour, Juulchin Tourism Corporation, Mongolian Steppe Vision, New Shilin Travel, Tenuun Tour are all members of the MTA, and together with MIAT Mongolian Airlines the representatives of the companies showcased their travel products for Japanese travel companies and the travelling audience during the 4-day event. Moreover, a Mongolia promotion session was held for Japanese companies wishing to promote Mongolia, and Stellar Japan Co Ltd was appointed as the Ulaanbaatar Tourism Promotion office in Tokyo by city governor Mr. Bat-Uul Erdene. The MTA and the exhibiting companies funded the exhibition fees with partial support from the Ministry of Environment, Green Development and Tourism of Mongolia, and Ulaanbaatar City Tourism Department. Japanese people are considered as a great travelling nation, and an estimated 13-17 million Japanese spend their holidays abroad each year. And JATA Tourism Expo is held at the famous Tokyo Big Sight venue, attracts about 120000-140000 visitors every year and is as the largest travel trade fair in Asia with participation from over 100 countries. Expansive skies, mind-blowing scenery, a dozen motorcycles to follow and no pesky drone laws to stop us from publishing the video ... Loz spent two weeks in gorgeous Western Mongolia with a Phantom 3 Professional to give it a proper aerial photo and video test – and the results were pretty spectacular. September 26 (Gizmag) Technically, I'm an Australian licensed RPA pilot as of June. But due to a treacle-thick layer of bureaucracy at Australia's Civil Aviation Safety Authority, we need to wait until the end of February before we can legally use any aerial footage in our video or photo pieces. That is, if the footage was shot in Australia. There's no drone laws at all in Mongolia. Not yet, anyway, so when I had the chance to travel there and film and shoot as a guest ofExtreme Bike Tours earlier this month, I threw a DJI Phantom 3 Professional in its hard shell backpack and brought it with me.